Well what can I say. It has been a LONG time since we have blogged! So much has happened we have to catch you up on but we figured sharing some of our amazing weddings from last year first would be even better! Jared and Katie might look familiar and that is because Katie owns Katie Santmyer Photography! She is also a new mama - and Oakley is oh so adorable! This wedding was one that I (Lauren) could not wait for. Katie's eye for detail as a photographer is absolutely amazing. Not to mention that her vision was almost spot on with the brand we were secretly launching too! 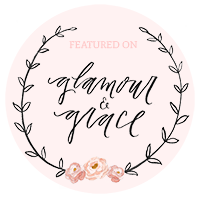 We were lucky enough to have this beauty featured on our favorite site - Style Me Pretty! Katie and Jared were married in Richmond, VA (In May of 2016 - I know we are REALLY BEHIND) at a beautiful historic home called The Scott House. This home is actually part of the VCU campus in the heart of downtown Richmond. If I could explain their wedding is just a few short words it would be intimate, romantic and timeless! I had the pleasure of working alongside the amazing Michael and Carina AND Molly Scott! Couldn't have asked for a better team! From the Sugar Shack donut cake, to the olive leaves tossed after they said I do - every detail was amazing! Katie's dress was so romantic and absolutely perfect for The Scott House. Organic florals and dusty blue dresses are the way to my heart! I've said it before but there is nothing like a groom holding a bouquet. Chairs, table and candlesticks from Paisley and Jade! Oh and amazing donut cake with Sugar shack donuts!